learn songs by ear & have your say! 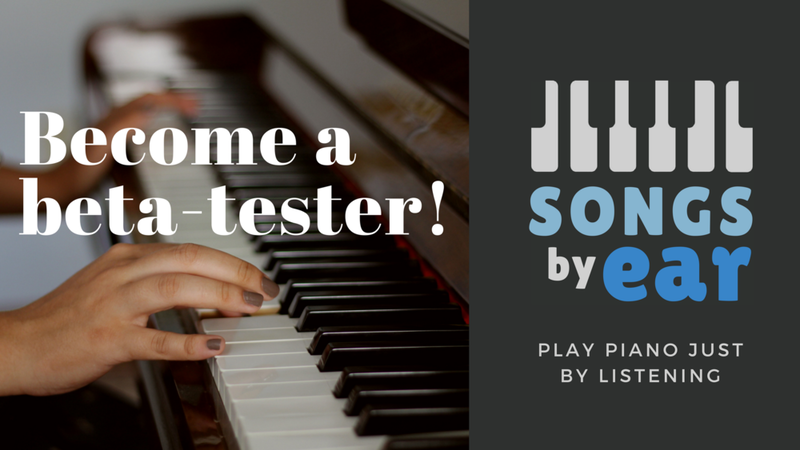 Ever wanted to learn songs by ear on the piano? Learn my proven method to identify the notes you hear and decipher songs easily. I'm putting final touches on the Songs By Ear course now but there is one vital process left to do and that is to beta-test it and get some real customer feedback to make sure it REALLY sparkles! But you can sign up to the Songs By Ear mailing list to stay informed about what's happening! FIND OUT MORE & SIGN UP BELOW!